Maher Terminals LLC is one of the largest privately held multi user container terminal operators in the world. As a vital link in the container cargo movement chain, we are responsible for helping our customers effectively compete in the global marketplace by handling their cargo as expeditiously and economically as possible. 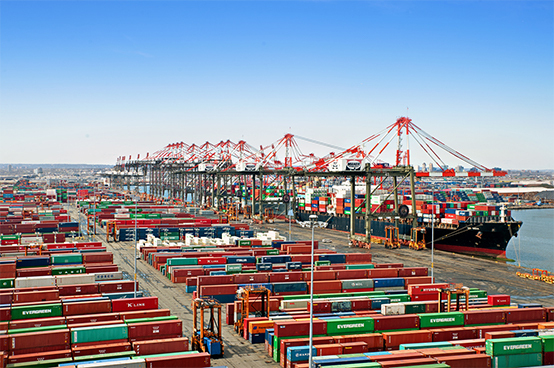 We take this responsibility very seriously and have developed North America’s largest marine container terminal in the Port of New York and New Jersey. This highly efficient container terminal operation strategically located in the heart of one of the world’s most affluent consumer markets provides ample container throughput capacity to efficiently meet and exceed the current and longer term operating requirements of our ocean carrier customers. The scope and flexibility of our multi user marine terminal operation truly make our facility a “Port within a Port.” This is best supported by the many ocean carriers that have been utilizing our facilities for decades, ranging from single trade lane operators to the world’s largest global alliances.